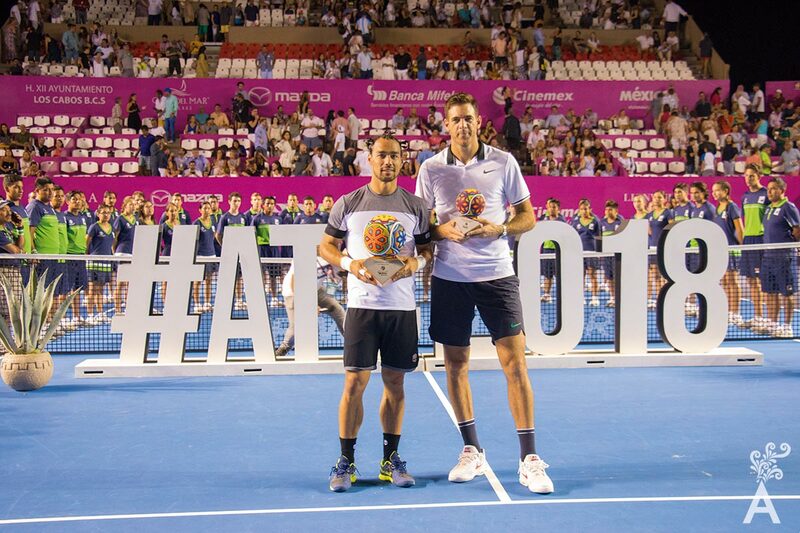 How did the idea of bringing the ATP to Los Cabos come about? The success of the tournament in Acapulco over the past 25 years brought about the idea of a second tournament in Mexico. 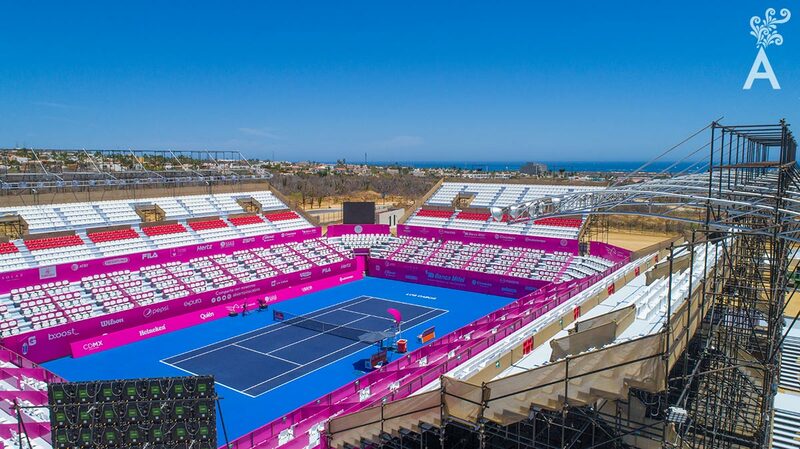 The Colombian tournament franchise is in charge of everything and after an analysis of destinations, it was determined that Los Cabos had all the required services. What factors did you consider necessary to make a successful tournament? The most important factor was undoubtedly human capital. We needed capable people to handle ticketing, logistics, infrastructure, medical services, the press, public relations, marketing, IT systems, and more. This team knows your area inside and out and knows how to treat the fans and players. They are the fundamental reason the event is what it is today. What was the biggest challenge when starting the project? Without a doubt, filling the stadium! Arriving at a destination that we knew nothing about presented quite an obstacle. However, every challenge has opened many doors for us. How has it grown and evolved over the years? The attendance numbers have gotten bigger. The first year, the arena was almost full on Saturday. The second year, Friday and Saturday were sold out. Last year set an attendance record with Wednesday and Saturday sold out and Friday almost full. The growing attendance is proof the locals are enthusiastic about the event. How have you been able to continue to attract such a high level of tennis players? When the event was new, there was some hesitancy on the part of the players. Convincing top-notch athletes to participate was another challenge to overcome. Last year, things went our way. 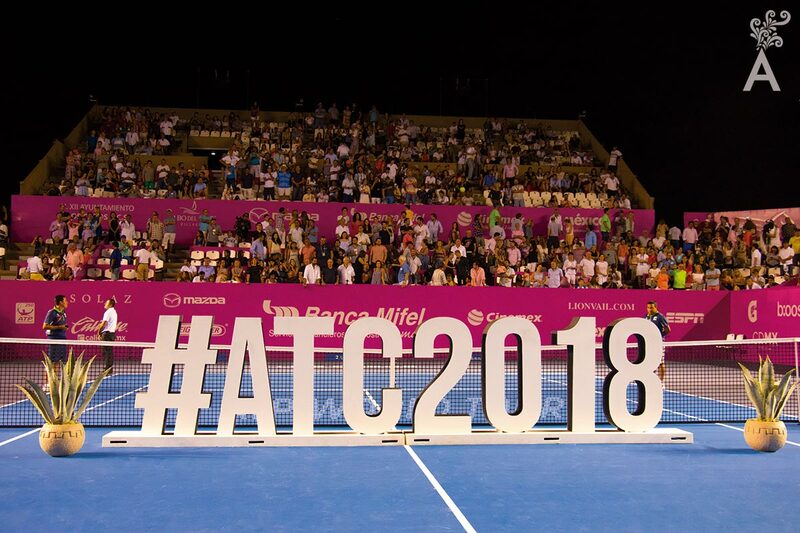 As a result, players have been the best ambassadors and promoters of the destination and have more tennis professionals interested in competing. 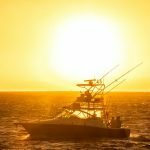 The love for the natural beauty, first-class hotels and restaurants and the incomparable service in Los Cabos convinced some players to sign a contract to return next year before they had even left. Jut one more sign the tournament has grown by leaps and bounds. 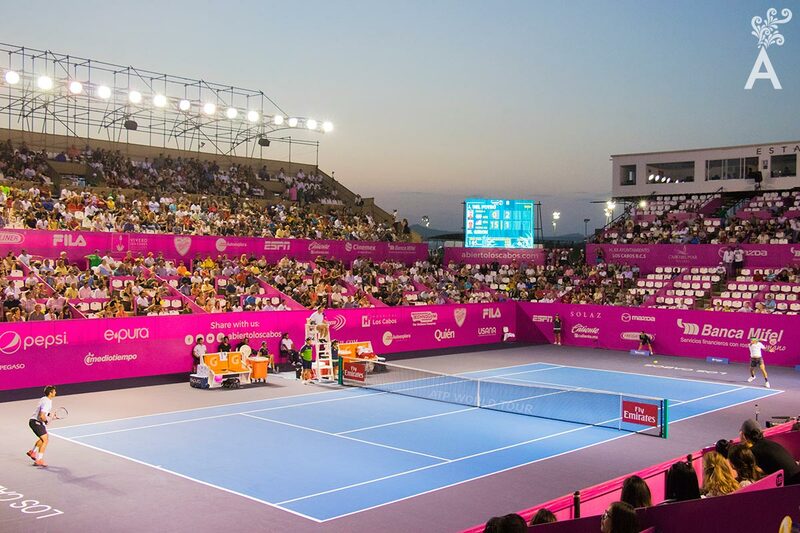 How do you see the fourth edition of the ATP Los Cabos? The bar has been set very high. We set an attendance record with almost 22,000 people. However, we hope to surpass what was achieved in 2018. In fact, we have our eye on this community. We want to do more with children and young people. What events around the ATP are held for the local fans? 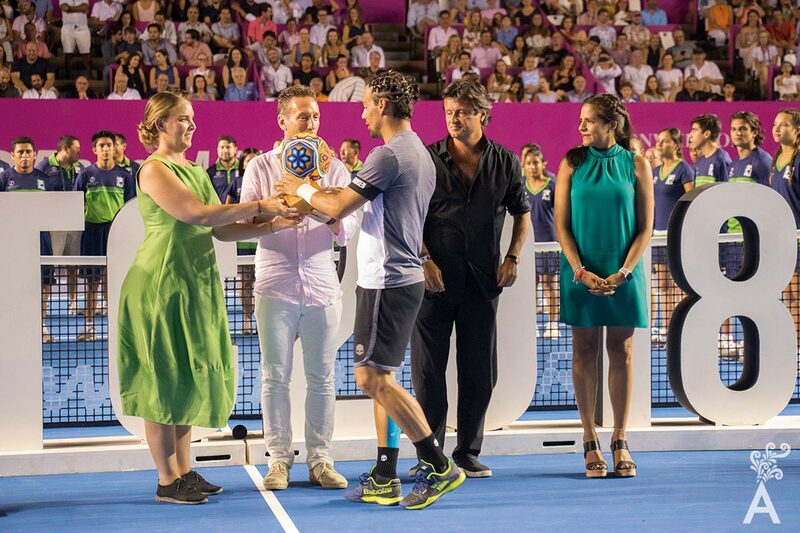 To involve more of the Los Cabos community, we have included events such as closing parties every night, plus dinners, brunch with the players, pool parties during the week and children’s day with the tennis professionals. 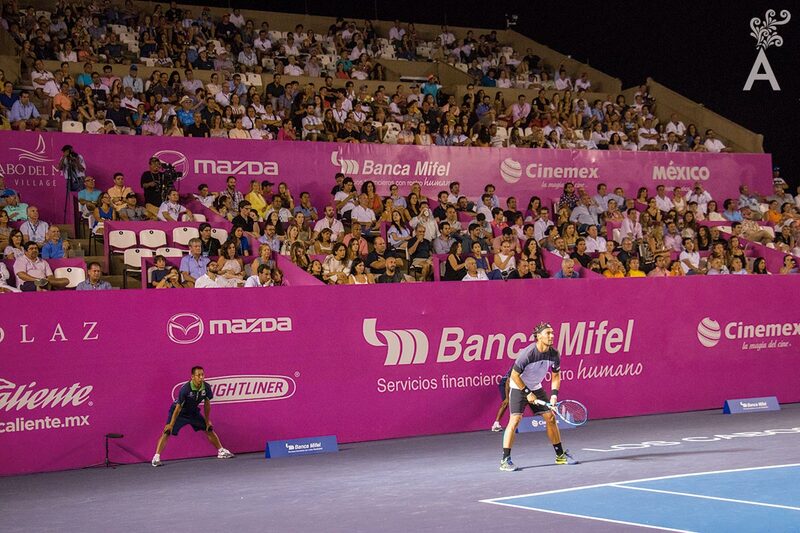 What is the biggest attraction for those who decide to participate in Los Cabos ATP250 compared to other ATP events? The difference between Los Cabos and other tournaments is the destination. The same week the ATP250 is held, players can earn points at the Washington 500 and the Kitzburg in Austria. However, of the 39 world tournaments in the 250 categories, the Los Cabos Open has the fourth largest purse. Another important factor is the flight connectivity. There is a tournament in Montreal after the Los Cabos Open. Competing in this destination allows the players to rest, enjoy Los Cabos and take a direct flight to their next competition. What do you like most about Los Cabos? I don’t know where to start. I like everything. 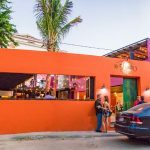 The destination has several other events happening at the same time and there are alternative entertainment options such as golf, yoga, fishing, spas and incredible restaurants. What has impacted me the most is the attitude of the people. They are happy to work because they love the destination.